Foveaux Strait is one of the oldest commercial fisheries in New Zealand. Oysters were first harvested off the Stewart Island coast commercially in the early 1860’s and by the 1870’s vessels were expanding into Foveaux Strait, with larger vessels able to work deeper beds, further afield. The industry gradually transferred itself to the mainland, with a headquarters in Bluff. Until 1962, the fishery was managed by limiting the number of vessels that were licensed to fish for oysters, which varied from 5 to 12. The fishery was then de-licensed in 1962 and by 1969 the number of vessels fishing for oysters had increased to 30. Limits to catch were introduced in 1963, and in 1970 the number of vessels was limited to 23. In 1986 the fishery had to be closed half-way through the season due to a parasite called Bonamia Exitiosus which killed off a large numbers of oysters. Between 1987 and 1993, catch levels varied due to the spread of the parasite and attempts to contain it. Foveaux Strait was closed to commercial fishing in 1993 to allow the population to recover. Three years later, in 1996, the population had recovered sufficiently for the fishery to be reopened and the following year the oyster fishery was added to New Zealand’s Quota Management System. Oysters in the Foveaux Strait are now fished over the six month season of 1 March to 31 August. 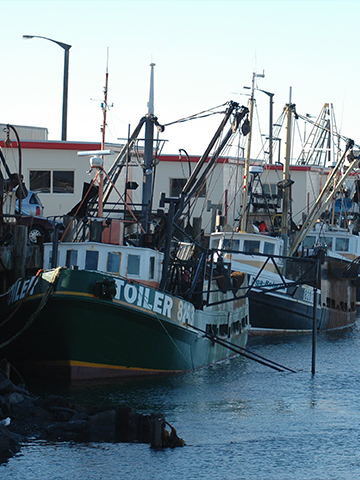 The stringent Quota Management System is run by the Ministry for Primary Industries, monitoring fish stocks and annual catches to ensure New Zealand’s fish resources are sustainably utilised. Safe fishing levels are worked out using the concept of maximum sustainable yield, which is the largest average annual catch that can be taken over time without reducing the stock’s productive potential. The National Institute of Water and Atmospheric Research (NIWA), is the main provider of fisheries resource surveys, catch monitoring and stock assessment research for New Zealand fisheries. To find out more about their work to help increase the value and sustainability of seafood, visit their website.